The London Life Insurance is a Canadian life insurance company best known for its “Freedom 55” slogan, which evokes saving money to an extent that would allow one to retire at age 55. What is London Life Health and Dental Insurance? London Life Health and Dental insurance is an individual health and dental plan designed for each Canadian like you that don't have or losing group benefits. This plan can ensure you and your family have comprehensive coverage or benefits and services including prescription drugs, dentalcare, visioncare, paramedical services, ambulance services and more. What is London Life Disability Insurance? London Life Disability insurance is an insurance designed for Canadian like you that want to maintain their lifestyle if ever unable to work due to an illness or injury. This plan can help your beneficiaries to cover ongoing expenses such as housing costs, utilities, car payments and groceries. What is London Life Critical Illness Insurance? London Life Critical Illness insurance can provide you with a lump sum tax-free payment in the event that you develop a covered critical illness so that you can focus more to your recovery. What is London Life Universal Life Insurance? London Life Universal Life insurance is a flexible permanent life insurance protection designed to match your and your family's changing needs. This plan is customizable that can help build wealth over time. What is London Life Term Life Insurance? London Life Term Life insurance is an affordable temporary life insurance protection designed for you and your family. This plan can help your beneficiaries meet their immediate financial needs if ever you pass away. 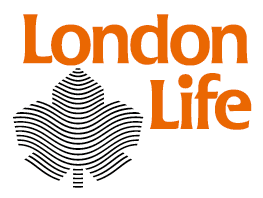 What is London Life Participating Life Insurance? London Life Participating Life insurance is a lifetime insurance protection designed for each Canadian like you with the ability to build cash value to support your financial goals.